Ferguson’s Career Center – your questions answered! Ivy Tech is comprised of a very diverse group of students from all walks of life, but you will find one attribute that ties all of them together—we are a community of career-focused learners. Whether gaining a skillset to enter the workforce for the first time, or continuing education in order to advance in the field, goal-oriented students are as much concerned about what comes next in their career as which assignments are due the next day. Ferguson’s Career Guidance Center is an excellent choice for obtaining information to help students make the right career choices and keep them motivated. 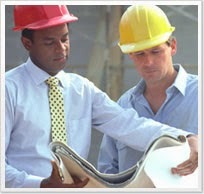 Ferguson’s Career Guidance Center features nearly every aspect of planning for and starting a career. The database has a number of articles that feature “Job Profiles” which feature detailed overviews of an occupation These include a detailed job description, the levels of education and certification required, the range of salary, and the outlook for the occupation going forward. Ferguson’s Career Guidance Center can also help with educational goals toward a career with features that help you to plan out your college timeline, show the occupational possibility of different degree programs, and even a provide a comprehensive list of internship and work-study programs for those who want to start their work experience while still in school. When it comes time to actually enter the work force, Ferguson’s also has you covered. The database features articles on how to create the perfect resume, methods for more effective networking, and how to ace a job interview. You can even search job postings by location or type of position. How to best use Ferguson’s database varies widely by which point in education and career you find yourself, but suffice it to say, there is something helpful for everyone. A student who is considering the field of nursing might take a look at the Registered Nurse job profile and start to plan the educational path he or she will have to take, as well as what to expect from the day-to-day work as a registered nurse. Perhaps a business student is far along in their education and wants to pick up some practical skills through work experience. By clicking the “Business” category under “Resources by Industry,” they are presented with a whole list of internships that are tailored to aspiring business students. Maybe a student has reached the end of their culinary program and is ready to apply their newfound skills to a job, but is worried their resume is too weak. They can browse a whole host of articles tailored to improving cover letters and resumes, including this article which details ways to better pitch oneself to a prospective employer. Success requires planning, and having the resources to do that planning in one place is an invaluable asset. Ferguson’s Career Guidance Center has what motivated students need to find the right career path and how to stay on that path they achieve their career goals.